I didn’t realize at the time but I was psychic channeling since I was a young child. I have heard voices for the longest time; I didn’t think they were talking to me. I just thought someone was talking and I was overhearing things, perhaps memories of people who had once lived wherever I was then living. My great-grandmother was notorious for having conversations with people who weren’t there. She had also been declared senile and put in a ‘home’ when I was very young too. It’s a no-brainer to realize that I was discouraged from mentioning the voices I heard, or the figures I saw, from a very young age on. It didn’t dawn on me till years later that not only was I not senile, I was also not the only one who heard such things—nor was I the only one, other than Great-Grandma who was psychic channeling and heard and/or spoke with the Voices. I did not ignore the Voices when I was young. I thought I was simply eavesdropping. I didn’t interact with them. I didn’t try to talk back or to ask questions, although sometimes when I thought a question or a comment with enough fortitude I did find an answer wafting its way towards my brain. No one had ever mentioned the concepts of psychic channeling to me. But, I would hear these Voices while I was at school, in class. I would hear them on the playground, on the bus, walking home. I heard them at home, in the back yard, in the basement, in the attic. I heard them in the park, at the track where my aunt would go running every day. She would often take me with her when she went running. Sometimes I would walk slowly around the track, staying out of the grownups way as they ran or jogged. Other times I would sit and doodle, scribble aimlessly, and end up coming home with intricately detailed stories. These stories were not always my own but more the result of my psychic channeling. In time, I grew tired of the old family ‘rules’, the shh, don’t say a word; don’t ask, don’t tell. I decided that since I kept hearing these voices - I had better talk to them and find out what they were doing - and why I had to keep listening to them. No one in my family would talk to me, or help me figure these things out. So, I asked the Voices. I stopped eavesdropping and actually listened to what they were saying. These early stages of my psychic channeling didn’t all make sense to me. It still doesn’t. But it doesn’t stop me from trying to understand, or Listen. Over time, however, what I learned, through trial and error, was not how to listen, but how to open my self to my psychic channeling abilities. I learned how to drop all of my own ‘stuff’, my own ideas, my own information, my own frame of reference. I learned, and I keep learning, how to free my self from my self long enough for the Spirits to flow through me and to answer questions for those who would ask them, without my getting in their way. I am by no means perfectly clear, nor am I without flaw or hesitation. But my psychic channeling capacity has come a very long way since my eavesdropping days. Now, if you are like me and have been ‘hearing the voices’ but you are not yet fully open to your own psychic channeling gift, then follow these seven steps to clear psychic channeling. 1. Pick a quiet time, when you are alone and can take some time for yourself. 2. Do something that helps you relax - take a bath, knit, write in your journal, doodle, meditate, pray. 3. Take some simple deep breaths. Breathe in through your nose into your abdomen for the count of 5. Hold the air in for a count of 3. Release your breath slowly and with control to the count of 5. 4. Light a candle. Ring a bell. Clap your hands. Something so that you can make your subconscious self-understand that now you are ready to listen. 5. Sit down somewhere that you are comfortable and continue to breathe slowly and calmly. 6. Now, ask yourself a question in your mind. Don't try to answer it (this is the hard part) --just see what comes up for you. Perhaps it would help you to write the question down and then wait for something to come to you before writing down what you feel is an answer. Or it may help if you were drawing or painting while you ask your question. So that the images you create help you realize your answer. Listen to what comes to you. Do you get old memories? Old scents? Old sensations? Do these feelings trigger other more recent associations within you? 7. Be sure to somehow record your feelings, the words and/or images that arrive, every detail you can. Sometimes you will see patterns immediately. Sometimes you may need to wait awhile to see things; perhaps hours or days, before the information begins to make real sense to you. I do not claim to be all-powerful nor omnipotent. I do not claim to be 100% accurate 100% of the time in my own. I personally do not claim anything at all. It’s not me. I have nothing to do with it. I clear my mind, and the voices work THEIR way through me; nothing more. During psychic channeling sessions I step aside and allow them to do the work, to the best of my, and THEIR, ability. That’s all I can do. I began to give professional Tarot readings when I was thirteen years old. Usually in the lunchroom at school, during lunch, with the buzzing roar of teenagers feasting and chattering going full force. I learned how to give readings, by psychic channeling or reading tarot cards, under most circumstance. Often times, the louder the atmosphere, the better the reading. I still prefer to read in a less than silent space. I can focus my self on the noise, and that better allows my Guides to speak through me without my getting in their way. I have continued to study since then, and I have continued to acquire new talents and abilities and to expand those forms of psychic channeling I already have. I usually channel most of the time now. It’s easier to keep my own issues and frame of reference out of the reading.  When psychic channeling for a client, he or she asks the questions and I step aside while the Guides, or their own Ancestors and/or Guides and/or Angels or whoever has chosen to speak with them speaks through me, answering their questions. I merely pull back, (coming forward – and making it clear it’s my interpretation of what the Speakers are presenting to me for the client - only when the Speaker cannot get his (her) meaning across clearly enough). Usually my Guides are very particular. They prefer to be asked very specific questions. They usually refuse to answer broad open-ended questions. They are quite polite about asking for more specific questions, usually. They frequently do not volunteer any extraneous information. If asked, will I have any children? Their typical answer is, yes. If asked, how many children will I have? their typical answer would be along the lines of, three. They rarely go out of their way to answer a question like, will I have children? with an answer like, “yes, and you will have three children within the next four years. You will have two boys and a girl”. They seem to prefer to answer as succinctly as possible. But, having said that, they are also notorious for offering information that is not asked for, often not just for the client, but for those in the vicinity of the reading, or for those who did not attend the reading, such as a relative or a co-worker. There seems to be no rhyme or reason, in psychic channeling, for the way they answer, nor can I convince them to be more verbose. I also do some automatic writing, although I have no control over when or why that occurs. Usually it is a focusing exercise for me, but there are times when I have no control at all. It just flows; it’s just another form of psychic channeling I guess. I do use tarot cards still. I use several different tarot decks, depending upon the person I am reading for, depending also upon the Guides themselves. I read and work with auras, and other energy fields. I can often communicate with animals. I seem to have better luck with dogs. Lately I have been talking to more birds though. I do commune with the Dead. Sometimes they speak to me. Sometimes they show me pictures. Sometimes I am bombarded with aromas, or sensations. I seem to have more than a slight skill with psychometry. I often am able to garner information from just looking at a photograph. As well as being an adept at psychic channeling, I am also an ordained minister. I am a Reiki master. I am a Healing Touch practitioner. I teach adult and children’s Yoga. I teach meditation. I am a spiritual counselor. I knit and I create soul dolls, among other things. I work with stones and crystals. I work with aromatherapy and I am a certified ritual herbalist. I also work with feng shui. I clear spaces and homes. I release trapped energies and spirits, when I am asked and when I am able. While psychic channeling, I work with the living, the dead, and the in between. There are different ways to do things for every situation that arises. I try to remain as neutral as the situation warrants. I have been called upon, more than once, to drive things considered negative from certain places. I am by no means a Harry Potter, nor anyone else for that matter. My psychic channeling job, as it has been described to me by my Guides, is to help my client help himself (herself) heal at their own level at their own pace, without interference or influence, using whatever fits best with the clients needs, desires and interpretations. I am merely the vessel through which help comes. I want to say that I am a phychic channeler; but with your information here, I think I may be a little bit psychic. I can only interact with spirits with my own questions. They only answer me and don't talk much. I feel their presence and their emotions. They make it clear that they love me. Thank you for setting this website up; it was highly helpful. Enjoyed the article. You can communicate with specific dead people? Thanks for you article Ariana.  It is such a great story about psychic channeling that I have added a link direct to you so that people reading your page will now be able to get some live psychic channeling with you. Or maybe they will just seek your guidance in raising their own abilities. I recommend they do.